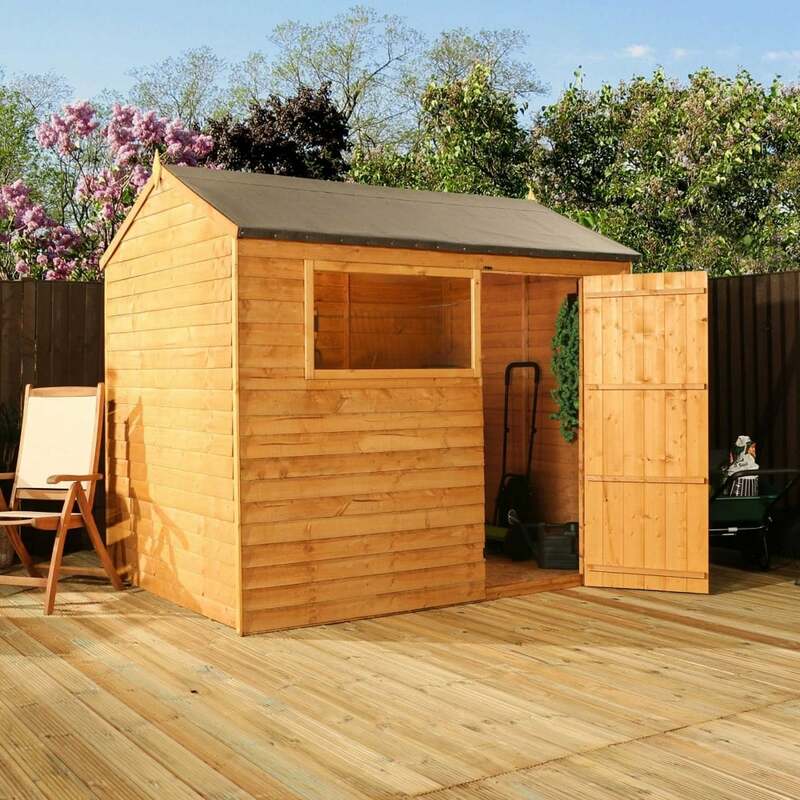 Mercia 8 x 6 Overlap Reverse Apex Shed Single Door: The Mercia overlap shed comes in this reverse apex style by taking the traditional shed and turning it on its side by placing the door and window on the wider section of the building. The Mercia garden shed is made using 7mm overlap cladding, 10mm solid sheet board floor, 8mm solid sheet board roof and 28x28mm framing for strength. The 8 x 6 overlap shed also features fixed shatterproof styrene glazed windows to provide plenty of natural light to filter through the interior of the building.